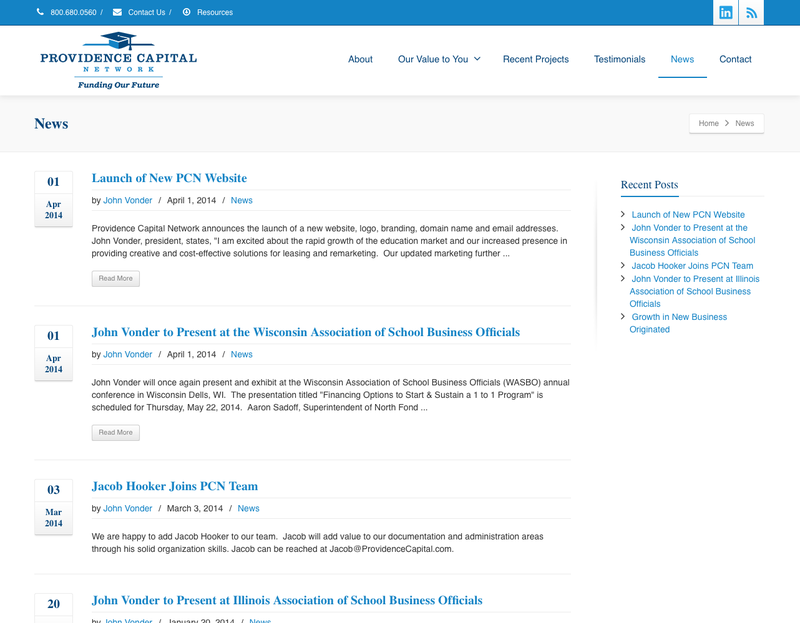 Providence Capital's website no longer reflected the direction the business had grown over the years. 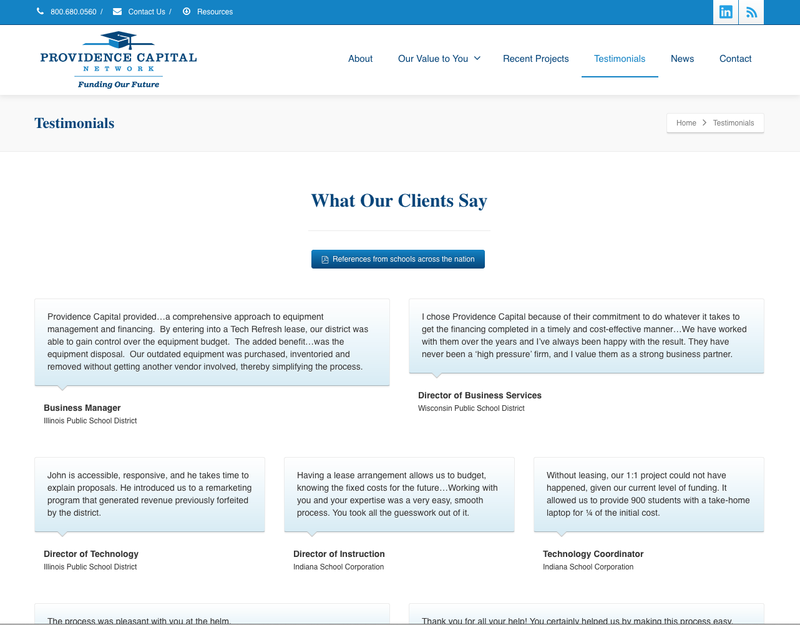 Old technology such as the use of Flash also made the site inaccessible to potential clients. 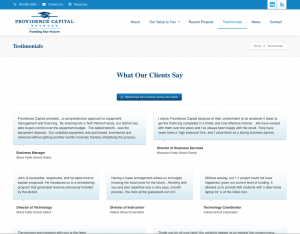 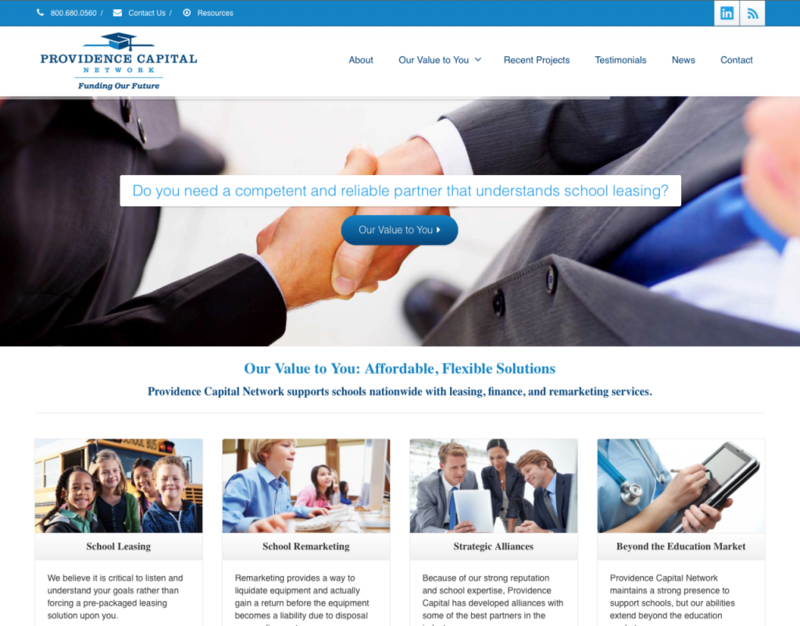 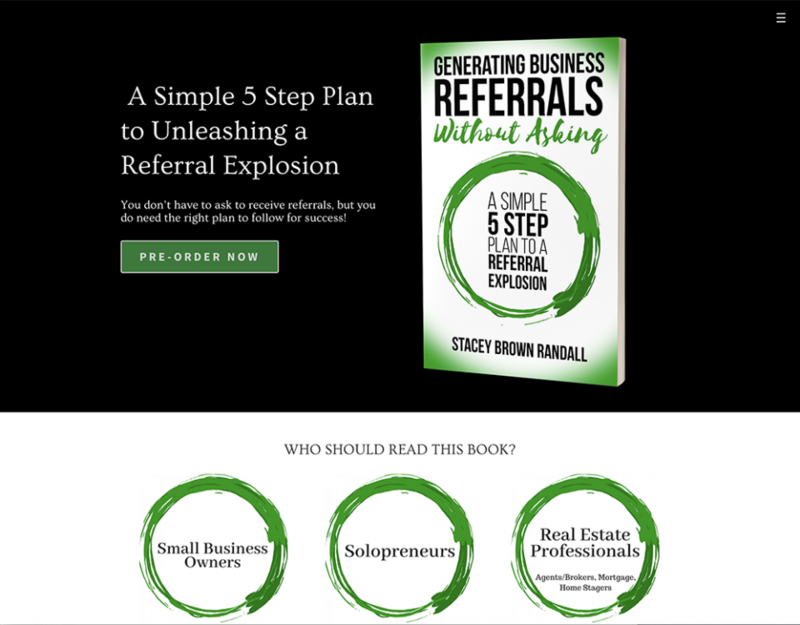 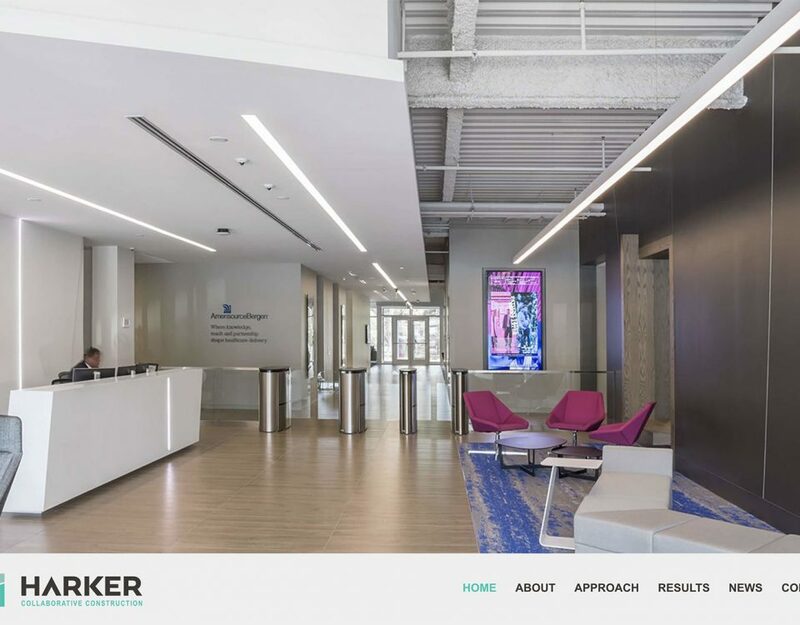 Providence Capital came to D3 Solutions wanting a website that showcased their business in a professional and appealing manner. 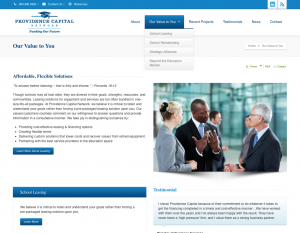 Envision was chosen as the theme to do just that and D3 Solutions set to work customizing the theme and laying out the content. 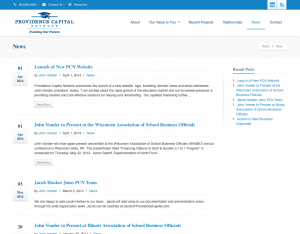 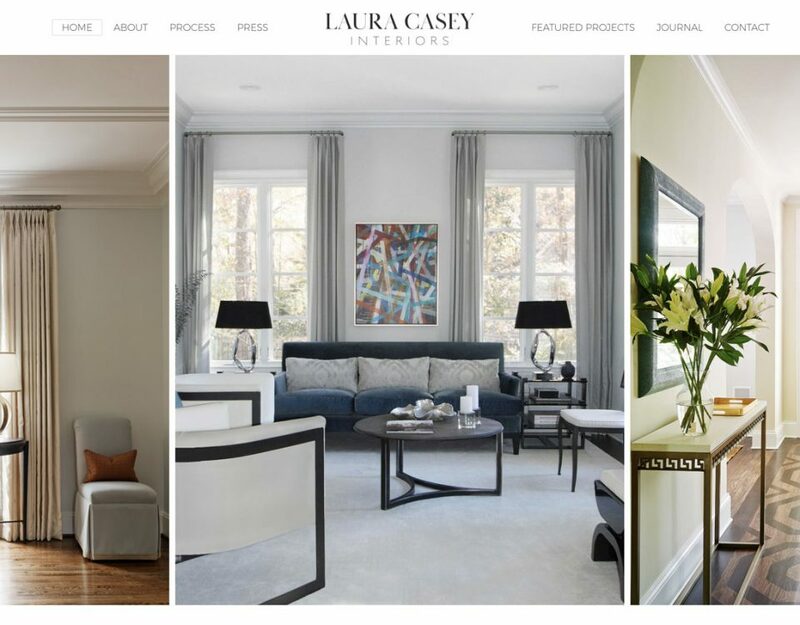 The result is a website that draws potential clients into an experience of learning more about Providence Capital's business.